We are very lucky to regularly be visited by children's authors who come into school to talk to the pupils about their writing, inspiration and latest books. 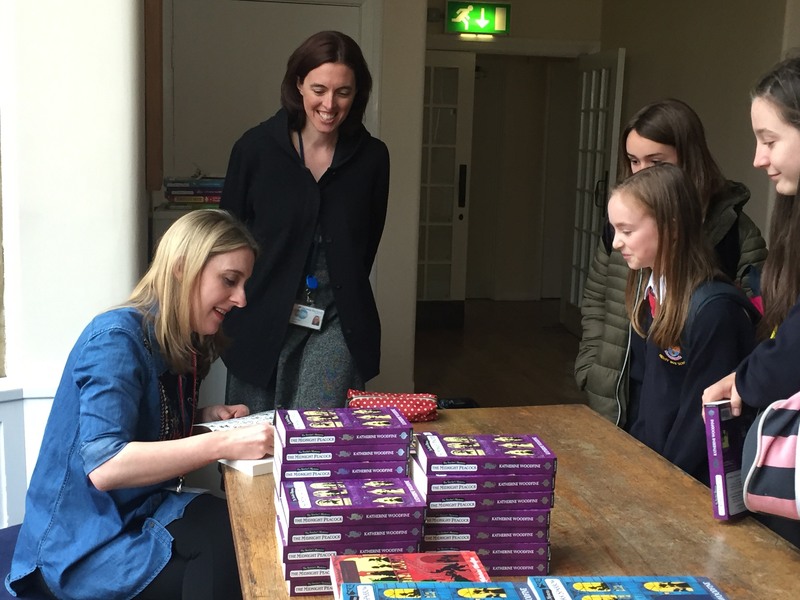 Following each talk pupils get the opportunity to meet and have a copy of the authors book signed. Blackwell's of Oxford very kindly support us and our Author Talks, connecting us with authors and providing a bookstall at talks. In recent years we have been visited by Katherine Woodfine, Martin Stewart, Steve Cole, Robin Stevens, Tom Moorhouse, Joe Craig, Chris Bradford, Andy Briggs, The '2 Steves', Harriet Castor, Sarah Powell, Katherine Langrish and Katherine Webber. 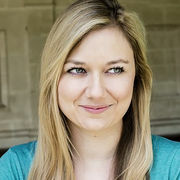 Katherine Webber, a rising star in Young Adult fiction is the latest author to visit Henry Box. Introducing her debut novel “Wing Jones” Katherine filled our hall with the most wonderful Californian accent and gave us an insight into the American way of life for her character Wing, a mixed race teenage girl finding her way through tragedy, new challenges and the discovery of a hidden talent. Katherine also shared her passion for travel, sports, food and family, all of which influence her writing. 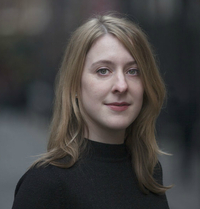 She emphasised her determination to write and how lucky she is to now write full time. What if?.......Katherine explained her writing process is a series of questions and answers, helping piece the story together but a book can go through many edits before finally being published. Inspirational stuff for our Year 7’s and based on the questions asked at the end it seems we have quite a few budding authors. Katherine’s second novel is due to be published this August and we are very lucky to have been given two copies of “Only Love Can Break Your Heart”, you can find both this and “Wing Jones” in the school library. On the 17th of October 2017 we were very excited to welcome the amazing and charming children’s author Katherine Woodfine to our school. 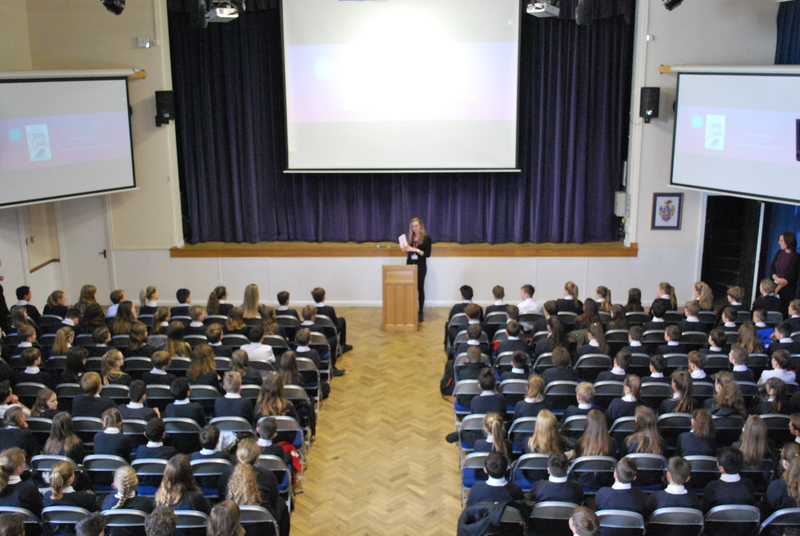 Katherine hosted a talk to all the year 7’s and then had a book signing at the end. Katherine’s series of books – The Sinclair Mysteries – are a big hit with those who enjoy a good whodunit and can proudly sit amongst the likes of the ‘Murder Most Unladylike’ series by Robin Stevens or the notorious Agatha Christie novels. Katherine has just released the fourth in the series ‘The Midnight Peacock’ which finds the main characters Sophie and Lil uncovering a crime over the Christmas holidays. The students really engaged with Katherine’s talk and very much enjoyed trying on different hats from the period. We are lucky enough to have all the books in the library and many students have been inspired to try this wonderful author’s entertaining series. The year 7’s were asked after the event to write any comments they would like to pass onto Katherine and we were overwhelmed with the response. We have added some of them here and all were passed onto Katherine who was very touched by the lovely warm response of our students. 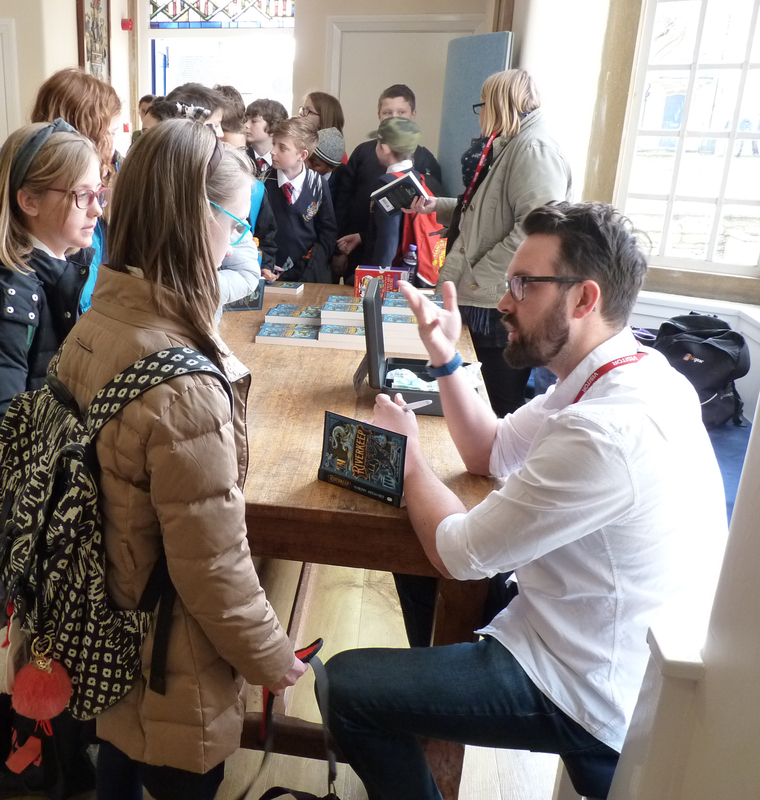 Year 7 were treated to a most entertaining talk from Martin Stewart author of Riverkeep, who spoke about his journey from working as an English Teacher to becoming a full time published author. Describing the writing process and how books are edited Martin demonstrated the importance of perseverance and following your dream. 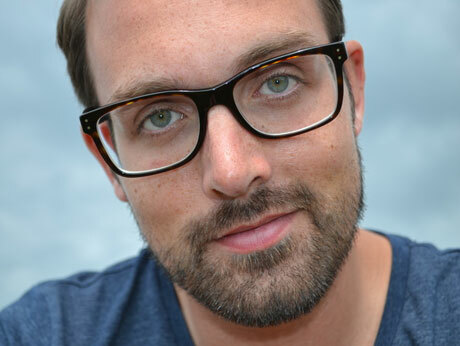 Martin’s first novel Riverkeep is a dark, scary tale with surprising humour, ideal for fans of Neil Gaiman and Patrick Ness. Following the talk, pupils were able to buy a signed copy of the book and meet with Martin. You can of course find a copy of Riverkeep in the library and other similar fantasy novels.